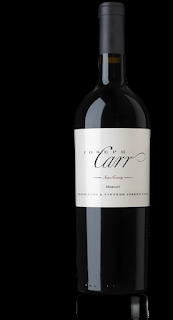 The Wine and Cheese Place: Joseph Carr at a great price! Joseph Carr at a great price! The wine features aromas of black cherry, chocolate, mint, root beer, vanilla, cedar, and roast beef. On the palate, a soft attack of roast meat, cherry, chocolate pudding, and sage is highlighted by a medium body and food-friendly acidity, leading to a textured finish. Ruta 22 Malbec Mendoza - value priced! Cusumano Nero d'Avola - Best Buy!